'Kloden drejer' is a Danish song. The title means 'The planet's spinning'. 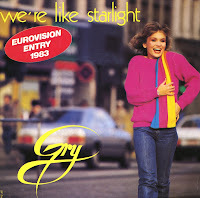 It was performed on the 1983 Eurovision Song Contest by Gry Johansen. In the end, the song was placed 17th in a field of 20 contestants. I already had a version of this song when I bought We're like starlight, which is an English version of the song. As you can see, the lyric of that song is as wildly different from this one as the sleeve of that single is from this one. Gry Johansen was born August 28, 1964. 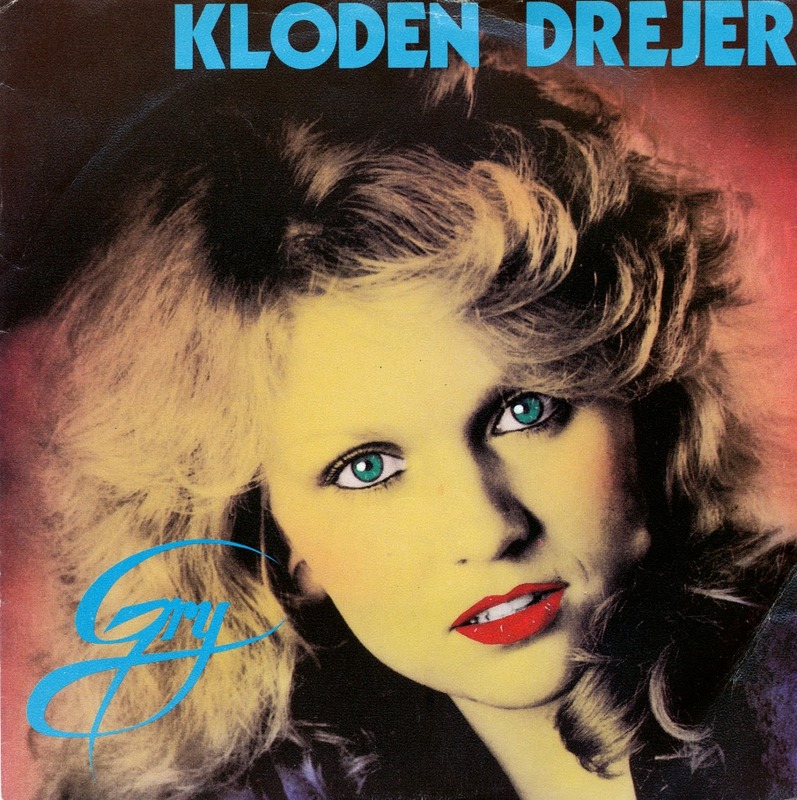 She represented Denmark during the 1983 Eurovision Song Contest with the song 'Kloden drejer' ('The planet's spinning'). The song finished 17th out of 20 competitors. She made two further bids for Eurovision in Denmarkt in 1989 and 2000, but both times she was unsuccessful. This single features an English version of 'Kloden drejer', entitled 'We're like starlight'. It was released in several European countries, but without commercial success.